Just sharing a card I created for a Black & White Only challenge. All of the products were already on my desk from previous projects so this went together in no time!!! I do not clean off my desk in between things I make. I know this sounds weird but my mojo really kicks into high gear when I'm surrounded with stamp sets, paper and accessories! When I clean off my desk, I find myself just sitting there wondering what to do! I'm sure there's a name for this condition, I just don't know what it is!!! Hahaha!!! The challenge I mentioned above is for a Facebook group made up of SU demonstrators belonging to my upline's team. 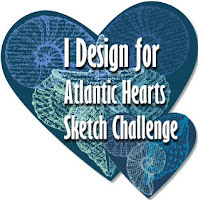 We have weekly challenges to keep the creative juices flowing. 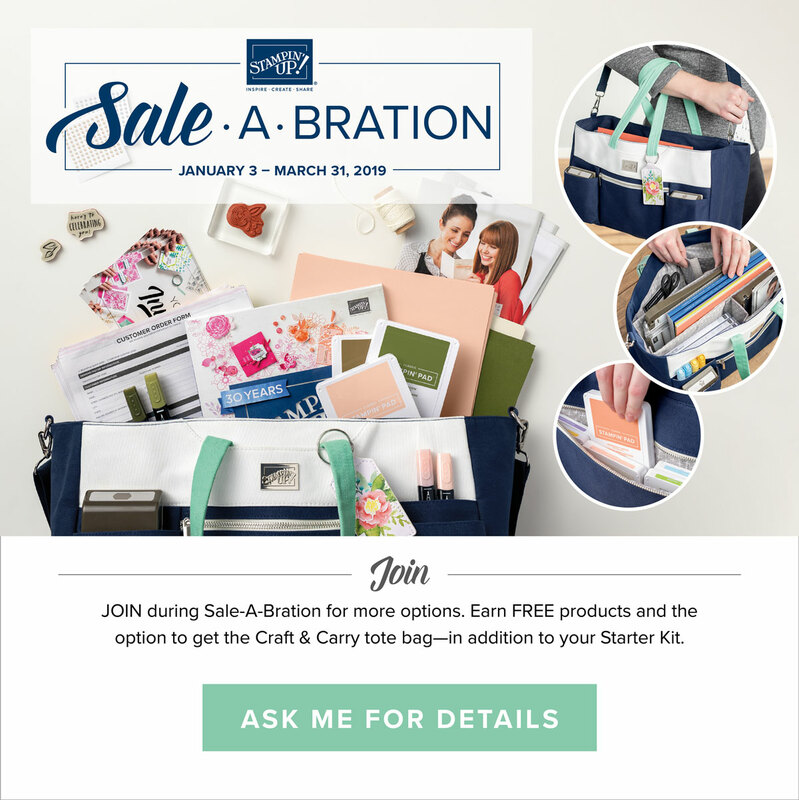 If you are interested in joining my team, Salebration is the perfect time!!! It's all about MORE: more free, more rewards, more fun! When you join during Saleabration you get two Starter Kit options to choose from. Get $175 (this is $50 more free products than usual!!) worth of Stampin' Up products for just $99. 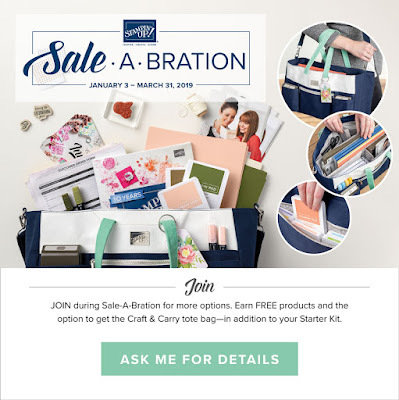 Get $175 worth of Stampin' Up products + the exclusive Craft & Carry Tote (pictured above & valued at $50) for just $129. Now is definitely the perfect time to join!! Simply click on the Starter Kit button on the menu bar at the top of the page. You'll be happy you did!! !